If you were a kid who loved to read then chances are Richard Adams' adventure novel Watership Down is one you've likely crossed paths with. Published in 1972, the best-selling novel has been adapted prominently a couple of times before, first as a and harrowing movie in 1978, and again as a lighter miniseries in 1999. And now the story is being brought to a whole new generation courtesy of Netflix and the BBC. 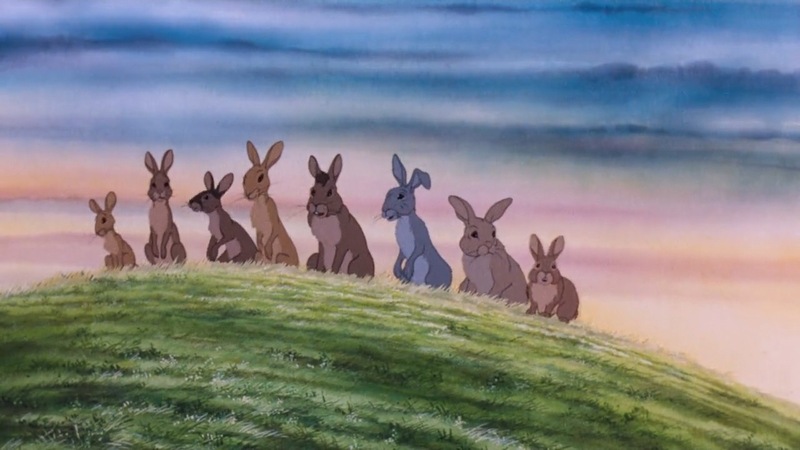 Variety reports that Netflix and BBC are partnering up on an animated Watership Down miniseries. The voice talent assembled for it is appropriately impressive, too The cast includes James McAvoy as Hazel, Nicholas Hoult as Fiver, Ben Kingsley as General Woundwort, John Boyega as Bigwig, Gemma Arterton (Hansel and Gretel: Witch Hunters) as Clover, Miles Jupp (The Thick of It) as Blackberry, Freddie Fox (Pride) as Captain Holly, Olivia Colman (Hyde Park on Hudson) as Strawberry, and Anne-Marie Duff (The Magdalene Sisters) as Hyzenthlay. Whoa. And perhaps most surprising of all is the choice of director for the four-part series; Noam Murro who was last at the helm for 300: Rise of an Empire. The largely allegorical tale centers on a group of rabbits forced to flee their home after a disaster and find a new one, encountering many trials and tribulations along the way. Adams pulled from Greek and Hebrew myth, giving he characters a rich backstory and personalized languages. It's really an extraordinary piece of work and should be just as great on the small screen. Look for it to arrive some time next year.